In the United States, religion is a major part of public life – so much so that it often finds its way into politics. At the national level of politics, it has historically been difficult to win an election, particularly at the national or state level, if one follows a faith not shared by the vast majority of religious Americans: Christianity. This phenomenon became even more pronounced following the rise of the “moral majority” in the 1980s. But despite the importance of Christianity in the public and private lives of American citizens and politicians, American Christians have raised little concern regarding the fate of Christianity in the religion’s birthplace – the Middle East. The religious landscape of the Middle East has shifted significantly in recent years, as key religious groups, including Christians, have been making mass exoduses elsewhere. According to Todd Johnson, director of the Center for the Study of Global Christianity at the Gordon-Conwell Theological Seminary, Christians are expected to compose 3.6 percent of the region’s population by 2025. A century prior, however, Christians represented 13.6 percent of the Middle East’s population. Most reports on the subject have cited emigration as the leading cause of Christianity’s sharp decline in the Middle East, while few reports cite other factors that have pushed many Middle Eastern Christians to seek new lives abroad. Many mainstream investigations of the phenomenon have blamed both Sunni-Shiite conflicts and terrorism for pushing Christians and other religious minorities to leave. But they have also neglected to mention the role of foreign intervention and U.S.-led regime change efforts in creating these very crises. While most of the “Christian” politicians in the U.S. are careful to avoid pointing this out, Middle Eastern Christians are all too aware that foreign intervention by Western governments has made it nearly impossible for them to continue living in the Middle East. The Middle East is much more than just the birthplace of Christianity. It was also the region where the religion first took hold and where the foundation was laid that transformed the teachings of Jesus Christ into one of the world’s dominant faiths. The entire region is dotted with thousand-year-old Christian communities, some of which were founded by early church fathers and, in some cases, disciples of Jesus himself. For instance, tradition holds that Christianity was first brought to Iraq by St. Thomas and his cousin Addai in the first century, later becoming a stronghold for a patchwork of Christian groups, including the Gnostics. It is also believed that St. Peter and St. Paul brought Christianity to Syria, where – in Antioch – the term “Christians” to denote followers of Jesus was used for the first time. In the earliest centuries of the last millennium, it was the Middle East that dominated Christian leadership and fellowship. When the Catholic church was officially formed at the Council of Nicea, there were more bishops in the Middle East than in Western Europe. While the ascension of Islam would soon drastically alter the region’s religious landscape, Christianity has retained an important role in the region in the centuries since – especially in countries where it has maintained prominence, such as Egypt and Lebanon. Even in nations with Muslim majorities, Christians proved to be an economically important minority, gaining political prominence as a result. But the Arab Christians of the Middle East have by no means had it easy. For much of the last 2,000 years, the region’s Christians have been persecuted by multiple parties, including the Ottoman Empire of the 19th and 20th centuries, whose brutal campaign against Arab Christians claimed the lives of over two million people. 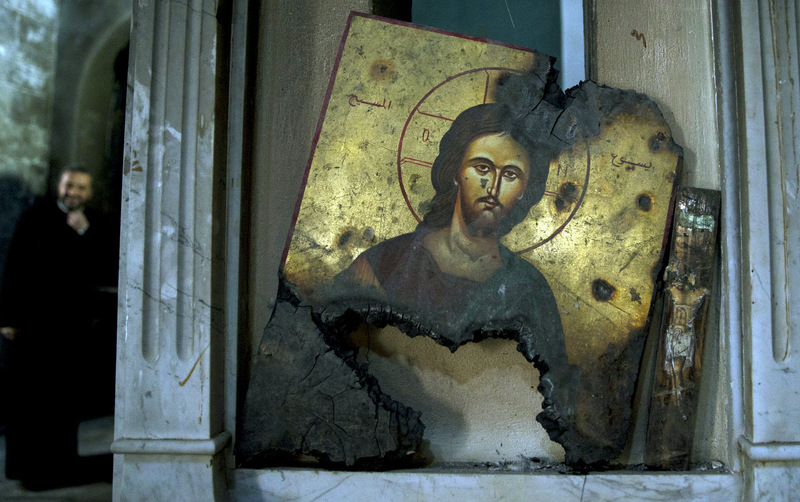 Having suffered so much, the resilience and endurance of the Mideast’s Christians is legendary. But it was Muslims in Syria, Iran, Lebanon and Palestine who provided refuge to the Christians being persecuted by the Ottomans as they established and expanded their empire. Owing to this troubled history, the presence of Arab Christians throughout the region has been a factor in the proliferation of Arab secularism in select countries, namely Syria, pre-invasion Iraq, Iran and Lebanon. After so many centuries of being targeted and persecuted, Christians in the Middle East have still been some of the most ardent supporters of secularism in the region. Haddad added that the greatest threat is even more grave. “The real danger lies in whether the Christian world loses the last early Christians, the last guards, the last ancient souls of the earth. If killing such a unique and profound community and civilization passes as easily as it looks, imagine what would become in your own nations once you dare to announce your faith or origin…,” he said. Interestingly enough, the very countries that have protected religious minorities in the name of Arab secularism are those that have found themselves the targets of U.S.-led regime change efforts over the years. Syria is a prime example, having been targeted by the U.S. since the 1980s. The most recent aggression has manifested in a massive war in which foreign-funded extremist “rebels” have sought to depose Syrian President Bashar al-Assad since 2011. 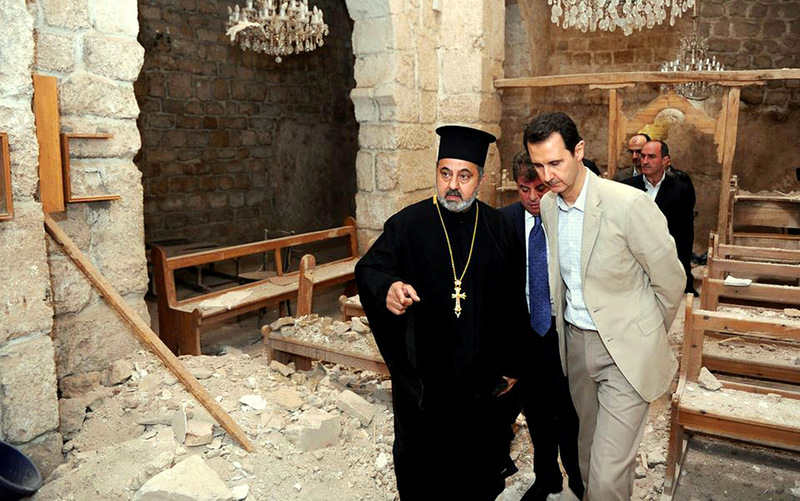 Syria’s Christians, protected by the Syrian government’s commitment to secularism, have overwhelmingly supported Assad throughout the affair. The alternative to Assad offers little to Syria’s Christians, as armed opposition forces are overwhelmingly allied with Wahhabism and extremism, having frequently called for the establishment of an Islamic state that would adhere to a colonialist ideology funded by Western nations like the UK and the United States. This would ultimately end the nation’s longstanding commitment to secularism and endanger the many religious minority groups that have long inhabited Syria. For instance, the al-Nusra Front, a jihadist group with ties to al-Qaeda, has repeatedly targeted Christians in Syria. Al-Nusra was recently taken off of terror watchlists in both the U.S. and Canada after simply changing its name. Even “rebels” directly armed by the U.S., such as the Free Syrian Army, have massacred villages of Christians throughout the course of the war. In 2013, the Free Syrian Army raided the Christian-majority al-Duvair village near the Lebanese border, massacring all of its civilian residents, including women and children. Iraq is another example of how U.S.- and UK-led regime change has influenced the exodus of Christians from the Middle East. The invasion displaced millions of Iraqis, many of whom have yet to return, and also removed many Iraqis’ ability to feed themselves by essentially annihilating the nation’s once-sizable agricultural industry. During and after the invasion, Christians were considered close to Saddam Hussein’s regime, given that his former foreign minister, Tariq Aziz, is a Chaldean Christian. The Chaldean Christian community, which stood at around 1.4 million before the 2003 invasion, was said to have been treated preferentially under Hussein. 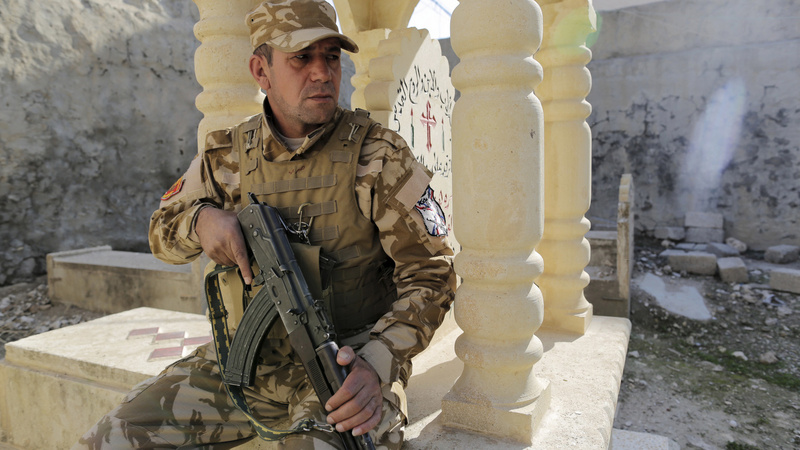 Following his ouster and in the chaos since, the Iraqi Christian population has dwindled to less than 300,000. Interestingly, many of the death squads Wasfi referenced were directly trained by the U.S., suggesting that the U.S. military had a key role in the targeting of Christians within Iraq. Aside from the clear examples of Syria and Iraq, Iran – whose Christian communities are thriving – is the latest country to be targeted by Western neo-conservatives, as evidenced by rhetoric delivered by President Donald Trump during his first foreign trip. While Iran has long been characterized as being discriminatory towards Christians in U.S. media, its Chaldean and Armenian Christian communities are protected by its constitution and guaranteed political representation in parliament. Jews and Zoroastrians are also similarly protected. However, evangelical Christians in Iran have been persecuted, particularly for allegedly proselytizing Muslims and members of other non-Christian religions. The total Christian population in Iran is difficult to accurately estimate, with some groups claiming there are 450,000 while others claim that there are as many as 1 million. While secularism is hardly the driving factor behind U.S.-led regime change in the Middle East, the West’s targeting of Middle Eastern secular nations that protect Christians is an undeniable factor in prompting the exodus of the region’s Christians. However, other Middle Eastern nations – especially those supported by the West – are well-known for their persecution of religious minorities. Nowhere is this truer than in the Kingdom of Saudi Arabia and in the apartheid state of Israel. But worse than the Saudis’ treatment of religious minorities within their own borders is their exportation of their intolerant Wahhabi ideology abroad. Many extremist terror groups – including Daesh (ISIS) and al-Qaeda – are followers of Wahhabism, and both are major beneficiaries of Saudi funding, which neither the Saudi government nor those of its allies in the West have sought to end. Saudi Arabia is the world’s largest exporter and fundraiser of radical Wahhabi terrorism. These groups, as has been made clear by their actions in Iraq, Syria and elsewhere, tend to target religious minorities, particularly Christians. Another chief ally of the West in the Middle East is also known for targeting Christians. Israel, best known for its persecution of the Palestinians,– whom are both Muslim and Christian– targets non-Jews due to its status as an apartheid ethno-religious state. As Wasfi explained to MintPress, “the military occupation by the colonial settler state of Israel, supported by Western governments” has been a major factor in the exodus of Christians from the Middle East. That same year, the Christian Union of Palestine publicly complained that British backed European Zionist-Jewish forces had used several Christian churches and humanitarian institutions in Jerusalem as military bases and had desecrated them. They added that three priests and more than 100 women and children had been killed by the indiscriminate shelling of their places of worship by European Zionist-Jewish forces. Israel’s discrimination against Palestinian Christians has continued ever since. For instance, in 1982, the Baptist Church in Jerusalem burned down, a target of arson. No one was ever charged. When the Baptists sought to rebuild the church, groups of Jews demonstrated against the project and the district planning commission refused to grant a building permit. Three years later, the Israeli Supreme Court advised the Baptists to leave the “all-Jewish” area. Such acts continue today. Pastor Steven Khoury, an Arab-Israeli Christian, said that “There’s no persecution in the Holy Land … unless you share your faith,” in an interview with the Voice of the Martyrs, a Christian non-profit that highlights the persecution of Christians worldwide. Khoury said he had witnessed church members being attacked because of their faith on many occasions. Palestinian Christians, due to their ethnicity, have been even more heavily targeted by the Israeli state, fleeing their homeland as a result along with thousands of their non-Christian countrymen. When European Zionist militias invaded Palestine to create the state of Israel in 1948, Palestinian Christians numbered 200,000. By 1995, Christian Palestinians living in the region numbered only 50,0000. Now, of an estimated 400,000 Christian Palestinians, most live abroad, mainly in the Americas. So why has the West targeted mostly secular nations while simultaneously supporting countries and extremist groups that persecute religious minorities, particularly Christians? While the attack on secularism in the Arab world could be a consequence of Western neo-colonialism in the region, long-held plans for Israel’s regional dominance – a goal strongly supported by the West, particularly the U.S. – shed light on potential reasons for the West’s reluctance to respect religious diversity in the Middle East. The Yinon Plan, as it is known, is a strategy intended to ensure Israel’s regional superiority in the Middle East that chiefly involves reconfiguring the entire Arab world into smaller and weaker sectarian states. This plan has been widely supported by numerous U.S. politicians – most notably by former Vice President Joe Biden, who pushed a non-binding resolution through the Senate that called for carving Iraq into the same states laid out in the Yinon Plan. However, the plan to partition Iraq included no territory for Iraq’s Christians or its other religious minorities. The Yinon Plan seeks to divide more than just Iraq. Syria, Jordan, Lebanon, Saudi Arabia and Egypt would all be partitioned, according to the plan, with parts of these countries being subsequently absorbed into “Greater Israel.” This can already be seen playing out in the Syrian conflict, where Israel’s involvement in the war largely revolves around its desire to claim the occupied Golan Heights as its own. 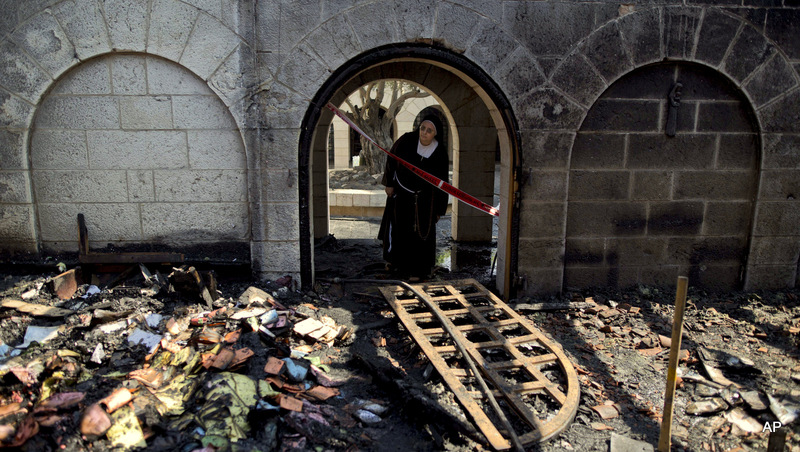 A nun looks at a heavily damaged Church of Multiplication after a fire broke out overnight near the Sea of Galilee in Tabgha, Israel, Thursday, June 18, 2015. A passage from a Jewish prayer, calling for the wiping out of idol worship, was found scrawled in red spray paint on a wall outside the Catholic church. Thus, it could very well be the West’s commitment to the Yinon Plan that has helped to shape its policy of feigned ignorance regarding the plight of the region’s Christians. Middle Eastern Christians’ commitment to and strong preference for secularism has no place in a neo-colonial Middle East that built into sectarian states intended to be kept in constant war with one another. Israel’s desire to dominate the region – a goal abetted by their Western allies – may hold much of the blame for the continued exodus of Mideast Christians. But ultimately, the continuing exodus of Christians is endemic of a larger crisis facing the region as years of conflict and modern warfare have taken into toll on the people as well as the environment.